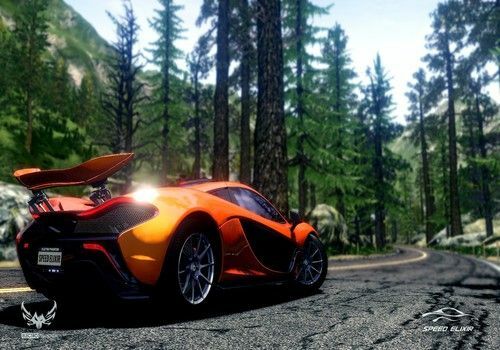 Speed Elixir is a game that will undoubtedly please nostalgics of the cult opuses of the Need For Speed series: Hot Pursuit and Rivals. Indeed, this game in the open world will offer a dozen modes including classic races, time trials and... pursuits. A multiplayer mode will also be available, but you won't have to leave your gaming session to play it. You can play against up to 15 players simultaneously! If you don't feel ready for online races you can of course disable the multiplayer option. Speed Elixir is an arcade game powered by Electro Phantom's Alpha Beast graphics engine. The latter also uses the latest technologies in this field (HDR rendering for example) for graphics. GT-class racing cars on the world's most famous tracks. Mercedes, Ford GT40, Mustang, Shelby and other cars! The legendary car racing simulation continues to advance in the world of PC gaming and offers new models of realistic cars and circuits.